In addition to having a Master's Degree in Sustainable Development, Susette works with water conservation and sustainable landscaping. Mrs. Jones refuses to give up her crabgrass lawn. She doesn't like drought tolerant landscaping, she says, and prefers the wide green lawns she used to have on the east coast. 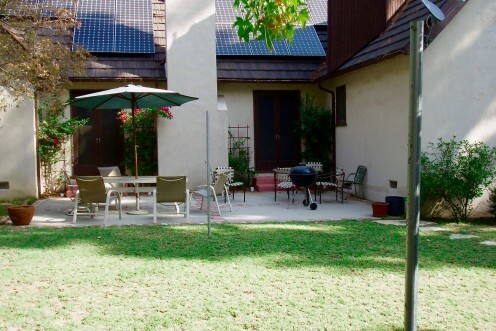 At her current house on the west coast she has three lawns. The one behind the main house where passersby cannot see it is mostly crabgrass. No neighbors complain, but there is a deeper story. For many years Mrs. Jones had badminton poles set up in the middle of the lawn (still there), so she could watch her son teach his young daughter to play. Mrs. Jones would sit nearby on the patio, sipping wine, commenting and cheering the game on. The crabgrass lawn was hardy, withstanding all the running back and forth, and didn't take much maintenance. Now her son lives in another state and her granddaughter, like many teenagers, wouldn't be caught dead playing badminton with her father when he visits. The crabgrass has served its purpose, and now Mrs. Jones complains to me when the crabgrass dies out in winter. I am her renter and temporary landscaper. After researching alternatives, followed by much discussion, I'm using natural methods I've learned over the years to replace her crabgrass with a healthy green lawn. 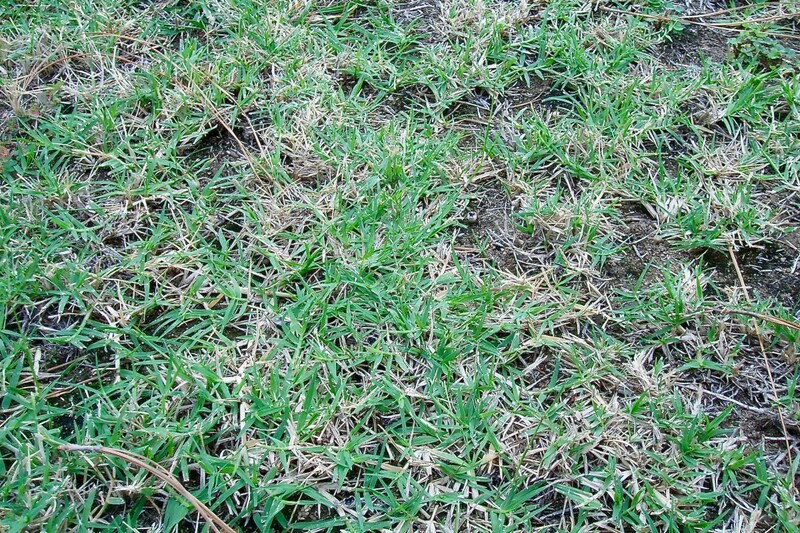 Crabgrass is hardy partly because of the way it crawls across the ground. Like a crab, it sends out tendrils that grab and spread. It's genus name is Digitaria, which comes from the Latin name for "fingers," also characterizing the flat, reaching-out nature of the grass. 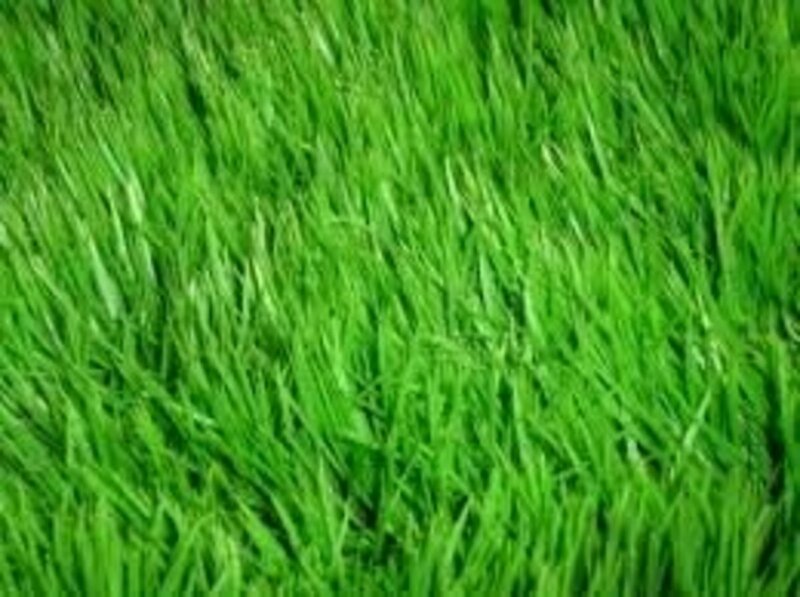 Digitaria is a light blue-green, thick bladed grass that originated in the warmer regions of the world. The plant is an annual that prefers hot, dry weather and poor soil. 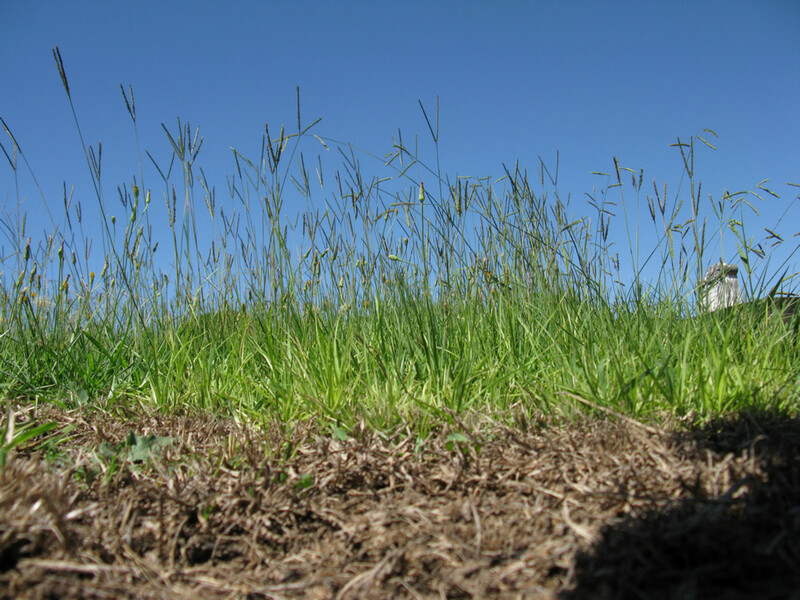 From seed, it sprouts in late spring and grows rapidly, quickly spreading out and overwhelming competing grasses. In warmer regions (like California) it sprouts earlier. When the weather grows cool again, it dies. Frost kills it. On the other hand, if you do want crabgrass to grow, you can deliberately provide the poor conditions it loves. Don't fertilize, water sparingly, don't give it shade. That will give you a chance to experience some of the grass' benefits. Because crabgrass lies fairly flat to the ground you can mow it short, so kids can run and balls can roll across it easily. It will grow where other kinds of grasses won't and doesn't take much maintenance. It also saves water, since it doesn't need much irrigation. 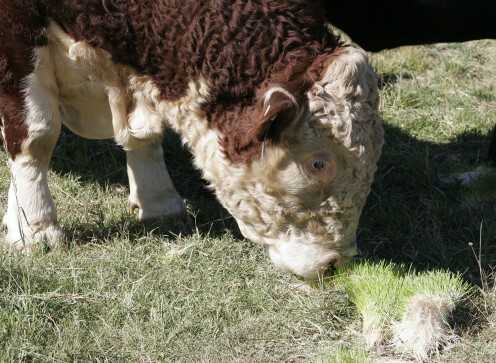 It's a high-quality summer grass for cattle and other ruminants to eat - healthier than most lawn grasses and easy to grow. Farmers love it! It's also healthy for humans. The fibers should be broken down first for humans to digest it, but that's easily done by juicing or baking it in muffins. Did you know crabgrass could be eaten? No, I've never considered it. I know or used to know someone who fed it to their cattle or sheep. I know someone who has juiced it or used it as flour in baked goods. I have eaten it myself once or twice. 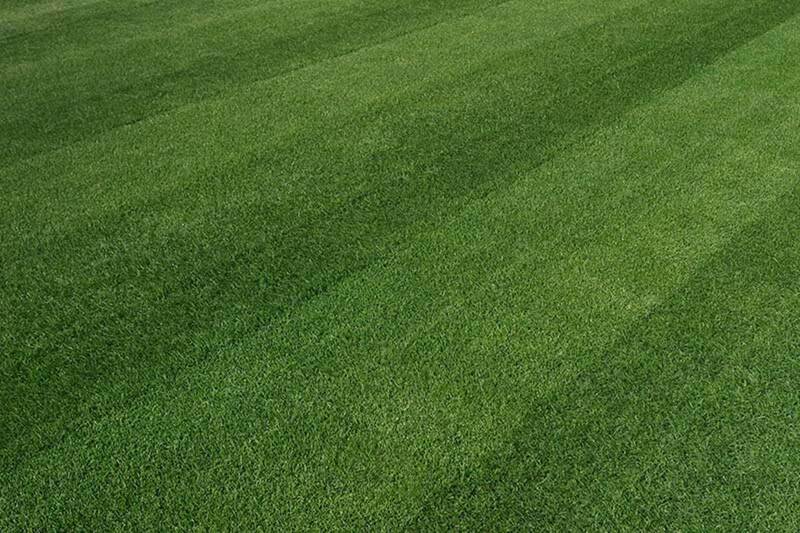 Its blue-green color and flat growth pattern disrupt the looks of a regular lawn, making it look weedy. It produces tons of seeds that keep taking over again, just when you think you've gotten rid of it. The plant is an annual that seeds every fall. When the seeds sprout in spring, the plant grows fast and takes over quickly, if you're not careful. Crabgrass can ruin your reputation when neighbors question why you don't take better care of your lawn. Start watering early, before it gets warm. Overseed and reseed in early spring and late fall with your preferred grass. Mow high most of the time to block the light. Be careful how you trim lawn edges. When is the best time to start watering the lawn again? If you don't want crabgrass to grow, the best time is early in spring. Remember, those seeds are just sitting in the soil waiting for warmth and water to grow. When you water early, before the soil warms up, you encourage the growth of your perennial grasses instead. When they grow up thick, there is no room for the crabgrass seedlings to take hold. How can I enrich the soil, so crabgrass won't like it? 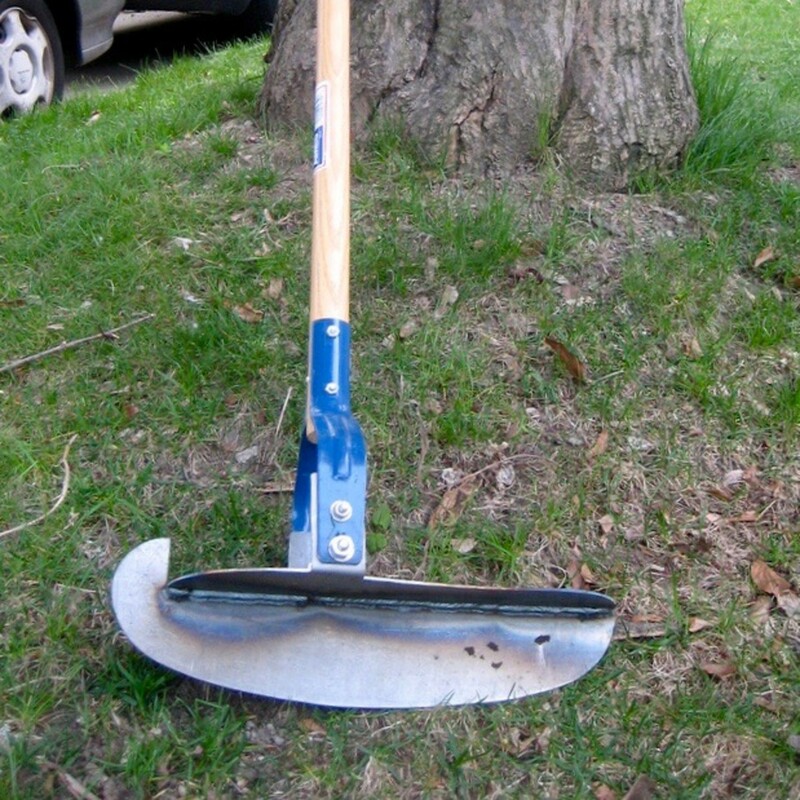 Either buy bark mulch or use your own grass clippings as mulch and mix it into the poor soil, aerating as you go. This will give it texture, nutrients, and help with air and water distribution in the soil. You can also add fertilizer, but test the soil first to see which nutrients it needs most. Corn gluten meal is a great supplement to add, since crabgrass doesn't like it. How does overseeding affect crabgrass? 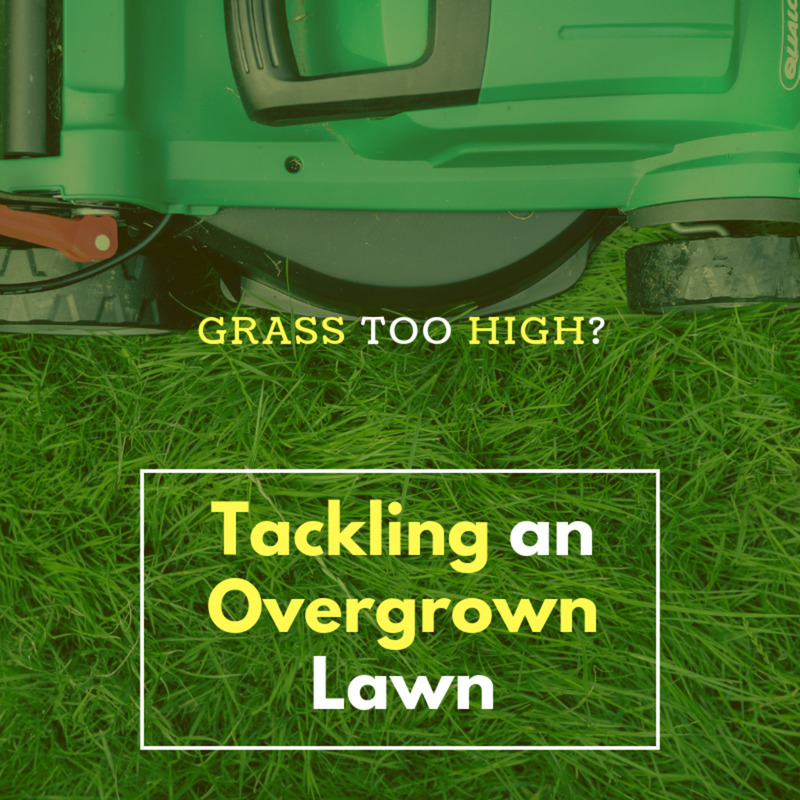 When you overseed late in fall or early in spring, after the crabgrass has died and before it starts growing again, you give your regular grass time to grow into the empty spaces. 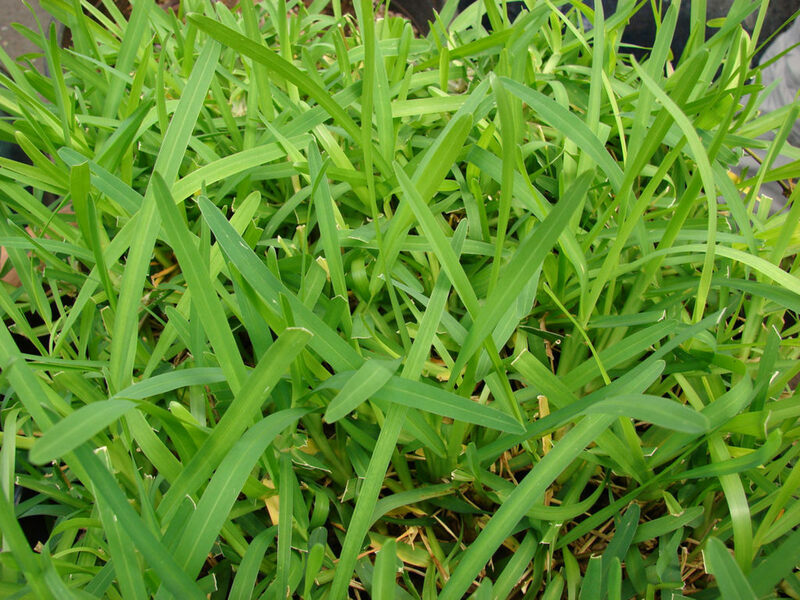 A strong, thick turf will block crabgrass seedlings from growing. When I mow, should I mow low to stop crabgrass from seeding? No. Do the opposite. 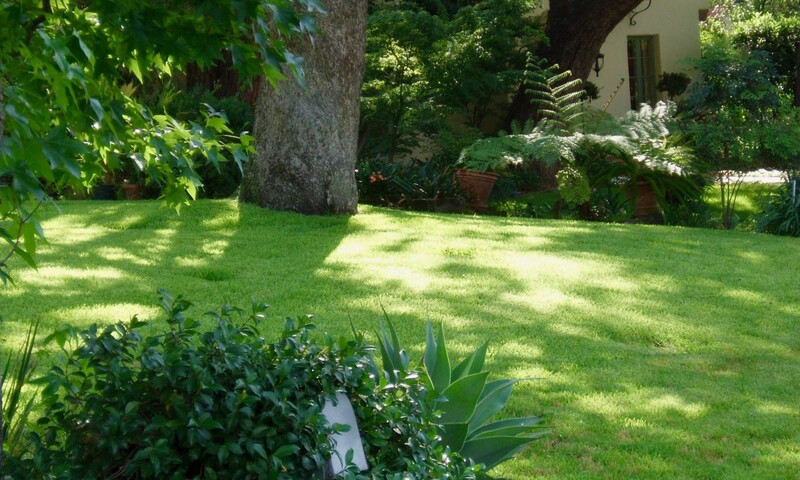 Let your lawn grow as high as possible to block the sun from reaching the lower-growing crabgrass. Then when the frosts come, mow low. Now you want the cold to freeze the soil, because that kills crabgrass. So keep the grass low when it's cold and let it grow high when the weather warms up. Is it still ok to edge my lawn, if crabgrass is growing there? Crabgrass often starts around the edges of lawns, especially in hot-weather areas next to driveways or sidewalks. Don't edge every time you mow, but every second or third time instead, and be careful what you edge with. Edging with a weed-whip creates bare areas that gives crabgrass and other weeds a foothold. It's much better to use an edger with a vertical blade cutter. 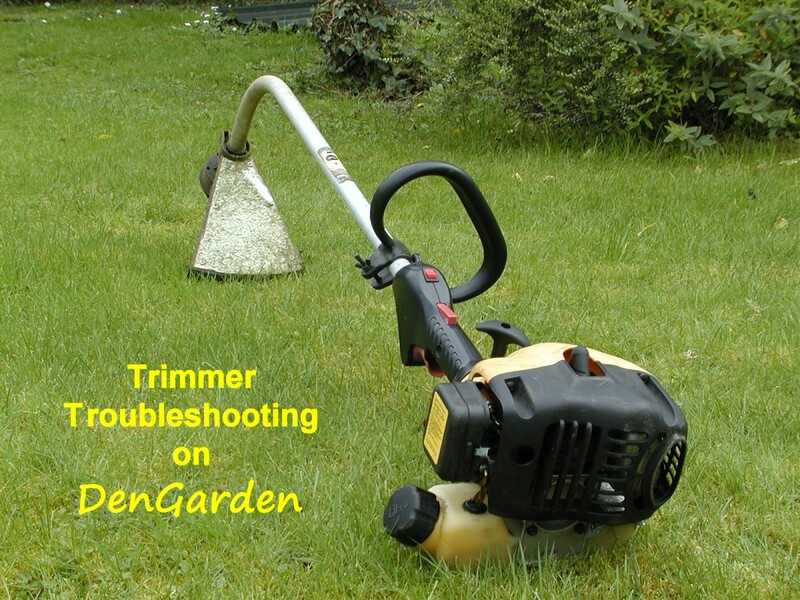 Most of them have round edges, but if you can get one with a serrated edge, you'll have an easier time cutting through turf and compacted soil. How should I irrigate to support the grass, but not the crabgrass? Water about 40 minutes once per week, or however long will balance the amount of rain you get. Your grass roots will grow deep in search of water as the soil dries out, and crabgrass will not be able to compete, since those roots are shallower. For those who don't want to spend time on hands and knees pulling weeds, and who don't mind working with chemicals, here are some tips for applying a preventer. Crabgrass preventers are a type of pre-emergent chemical targeted to kill crabgrass, which you apply when it's time for the crabgrass to sprout. Since crabgrass starts growing when the soil is about 54 degrees and a preventer lasts only 2-4 months, the time of year you apply it will depend on where you live. In Southern California, where it seldom gets really cold, you'll likely apply the preventer in January, rather than in April or May, like in colder regions of the north. One sure clue for timing is to watch for crabgrass sprouts near the edge of your driveway or sidewalk. Soil temperature is a little warmer there, so when you see the first seedlings emerging, that is a good time to apply your preventer. An even better way is to purchase a soil temperature gauge and apply it when the soil heat reaches 55 degrees three or four days in a row. 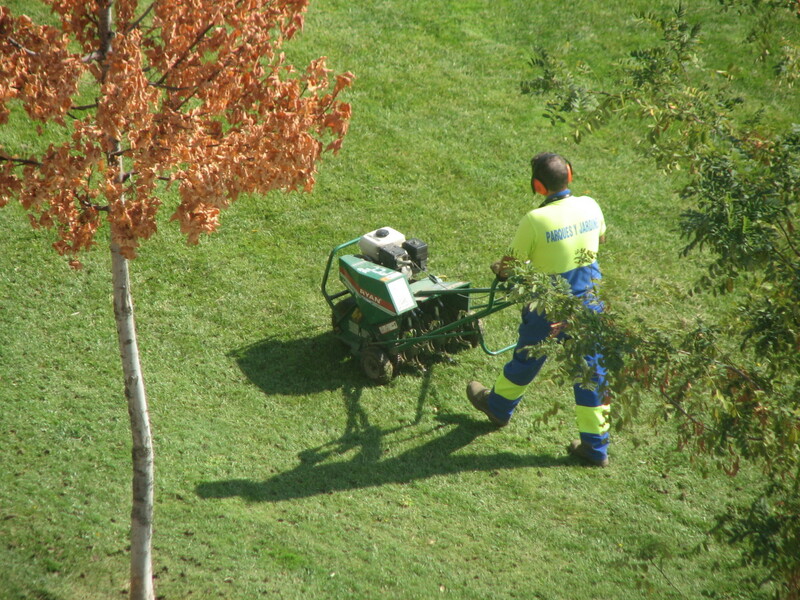 Test several spots in the lawn to get an average. Green Light Crabgrass Preventer is one of the rare pre-emergents that is not mixed with fertilizer, so you have more control over how much actually reaches the worst part of your lawn. Dimension Crabgrass Preventer actually hits crabgrass hard after it's sprouted, so if you missed the earlier deadline and your grass is well on its way to taking over, this would be the kind of post-preventer to use. 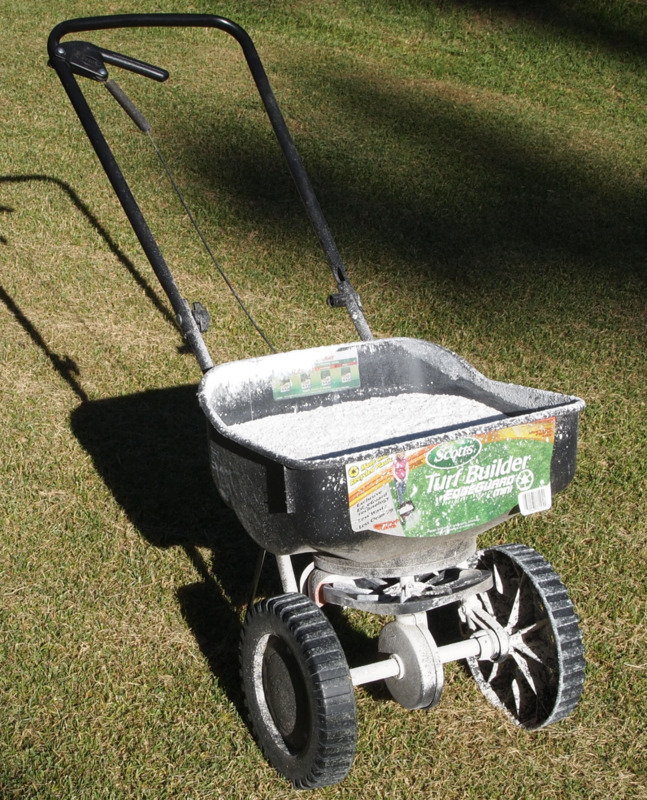 You can apply the preventer with the same spreader you use to reseed or fertilize your lawn. Choose a calm (not windy) day and cover your skin with gloves, long sleeved shirt, and long pants. Apply mulch on top of the chemical and water it all thoroughly. I love my crabgrass but I live in the Northeast and not sure how it will look like in the winter. It grows easily and is low maintenance. How can I help it spread over my lawn? I have heard the term crabgrass all my life but never really knew which it was. With such a mixture of grasses at our place, we do have this but it's a farm and so having a perfect lawn isn't necessary. However, when it's a lawn by a home, I can see it could be quite a problem. Thanks for this helpful look at loving or hating crabgrass. It's a real temptation to just love it and forget it!